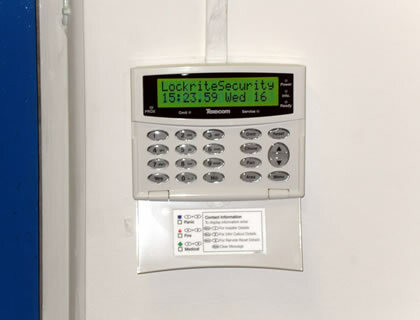 Lockrite Security were recently contacted by a Pharmacy in Basingstoke who wanted to secure their premises with a Commercial CCTV System. We arranged a for two of our engineers to attend the premises and perform a comprehensive site survey. As part of our site survey we performed a risk assessment to determine what areas need to be secured and what grade alarm system needs to be installed. 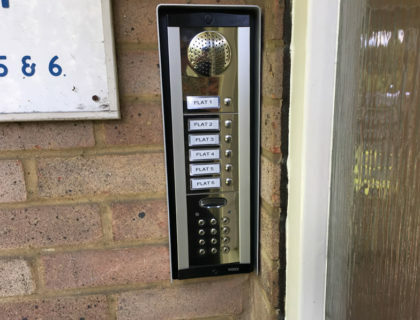 After our risk assessment we recommended that the client have a Grade 3 intruder alarm system that dials out to a dedicated alarm monitoring and response company. Along with the CCTV and Intruder Alarm we setup a GPRS communication system to ensure uninterrupted communication between the Pharmacy and the monitoring station. If the land-line communication is unavailable the alarm will dial out to the guarding company using GPRS communication. To further increase the security of the Pharmacy we installed Anti-Mask detection for all the passive infra-red (PIR) sensors. If the cameras or the PIRs are obstructed/covered the system will activate. Similar security measures were applied to all door contacts and personnel attack buttons were installed throughout the building to increase staff safety. The CCTV system had to survey all of the inside of the building as well as the outside due to medication being stored on site. The cameras had to operate in day and night conditions because the pharmacy allows customers to purchase medication up until 10pm through a side-hatch. We installed the Inspire Blue Digital Video Recorder to enable the shop owner to view live CCTV footage remotely using their PC, Tablet or Mobile device.